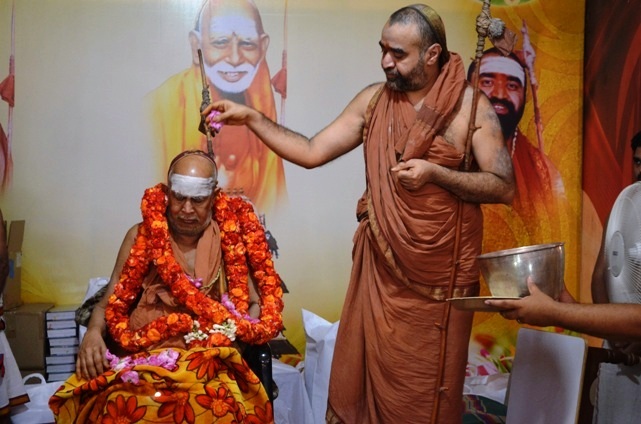 With Blessings of His Holiness Jagadguru Shankaracharya of Shri Kanchi Kamakoti Peetam, the Annual Agnihotra Sadas was held at Sri Kanchi Kamakoti Peetam - Srimatam Samsthan from 1 to 3 August 2014. A large number of Agnihotris from different parts of the country participated in the Agnihotra Sadas. The three day event is held every year during the Chaturmasya Vrata Anushtanam at the place of camp of Their Holinesses. The Sadas this year was the 10th Annual Sadas. Sri Adi Shankara Bhavadpadacharya in his advisory sloka “Sopana Panchakam” stated forty advises for up-lifting the humans and the first two primary advise there in is Vedo Nityamadeeyataam Taduditam KarmaSwanushteeyatam. This means a person should repeat the Vedas learnt by him regularly and also perform the Vedic injunctions specified in them as well. 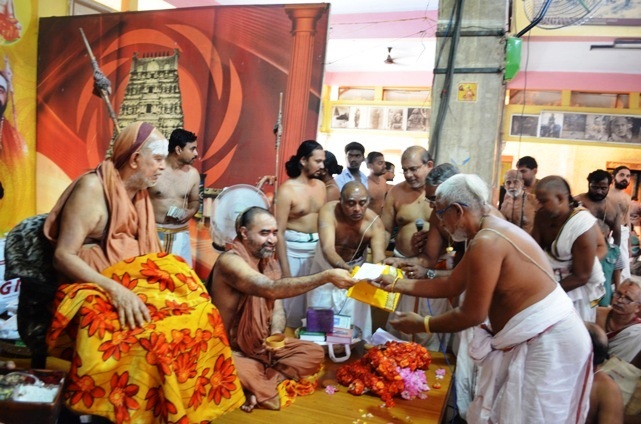 In today’s world, this upadesha of Sri Shankara is adhered to especially by the Agnihotries. 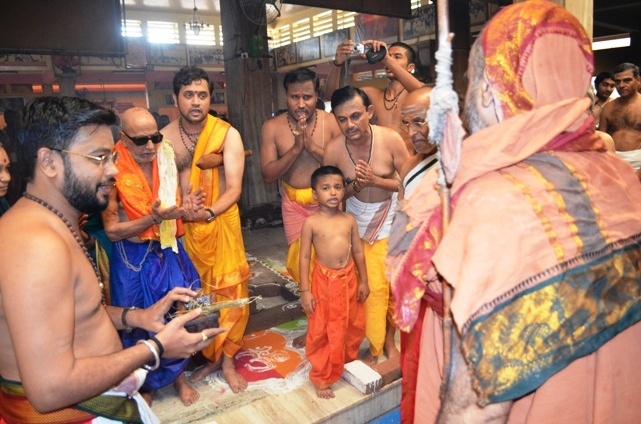 Their Holinesses of Kanchi strongly believe that the pursuit of performance of the Agnihotra and the associated Yagnas protect one and all and hence this Sadas is a very important activity that Srimatham is associated with Year after Year. The Sadas comprised of two sessions - one in the morning and one in the evening, in the divine presence of the Acharyas. The sessions involved discussions on the understanding and interpretation of the details of the Vedic Injunction proceedings as stated in the texts called Sutras(methodologies) of various Rishis of the yore. 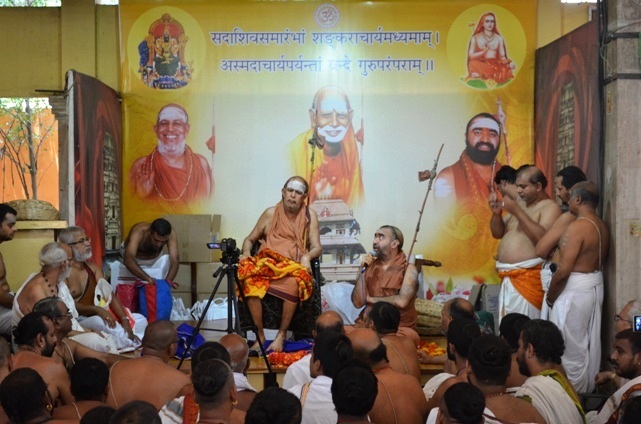 The Agnihotris from different States shared the details of the prevalent practices and methods of chanting that are unique to each state. 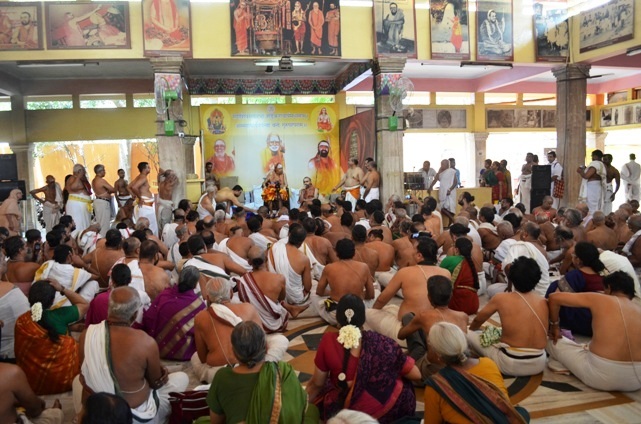 The participant Agnihotris performed Bikshavandanam on the second day (2 Aug. 2014). 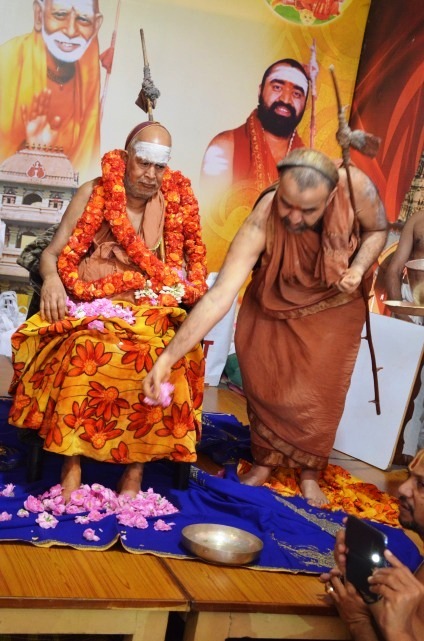 On behalf of the Agnihotris, Kanakabhishekam was performed by HH Pujyashri Shankara Vijayendra Saraswathi Shankaracharya Swamiji to HH Pujyashri Jayendra Saraswathi Shankaracharya Swamiji. 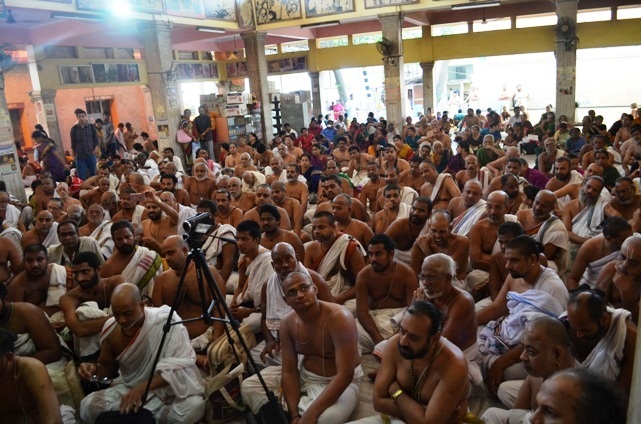 Last year, the Sadas was held at Shrimatam, Kanchipuram from 26 to 28 July 2013. The report is hosted at http://www.kamakoti.org/kamakoti/news/2013/AgnihotraSadas2013.html.